BI am aways super excited when I get a pattern done. Something about seeing the picture at the top of the page and all the many rows it take to make it. I get a huge sense of accomplishment from it. That amazing feeling is what I hope you get out of it as well. 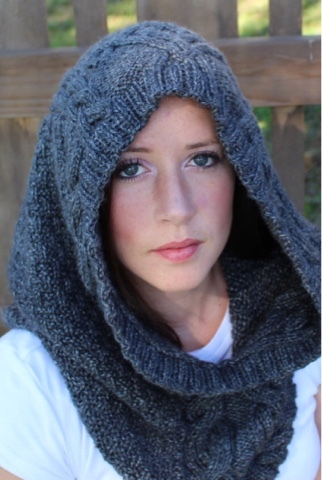 Buy one of my patterns and you will feel so proud when you can look at the finished product. This pattern is not for a new knitter. If you have knitted socks than this will be a nice pattern for you. If you ever wanted to try cables or have done a few than you will be able to try this one. It's has a beautiful drape and will fit any one who wants one. I think I may have a new love of chunky yarn. Do not be surprised if I have several new patterns with it. You can knit something so fast with it. I am completely in love with these hearts. I want to knit them everywhere. 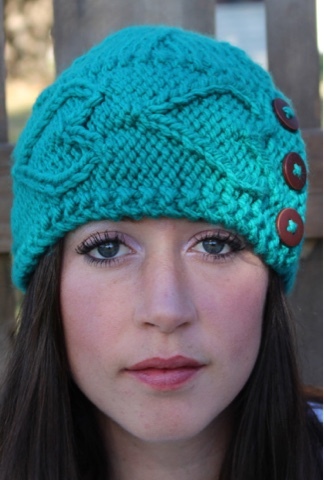 This adorable hat was made for a sweet friend preparing for chemo. My intent was to send her the hearts and love of all her friends who live to far away to be with her. Send love to those you care for, with this hat. They will love it. Check out my Etsy, Ravelry and Craftsy stores to purchase one of these patterns and check out the others I have for sale.